Apple is reportedly set to allow apps for its two major platforms, iOS and macOS, to be compatible across platforms. If this report is accurate, it represents a sea change for Apple’s ecosystem. Apple currently plans to begin rolling out the change as part of next fall’s major iOS and macOS updates, said the people, who requested anonymity to discuss an internal matter. The secret project, codenamed “Marzipan,” is one of the tentpole additions for next year’s Apple software road map. Theoretically, the plan could be announced as early as the summer at the company’s annual developers conference if the late 2018 release plan remains on track. Users will find more to like about the Mac lineup should universal apps make an appearance; a longstanding complaint amongst users is their favorite mobile apps aren’t available for the desktop. When they are, it’s often with an additional fee (because they’re separate apps, of course). 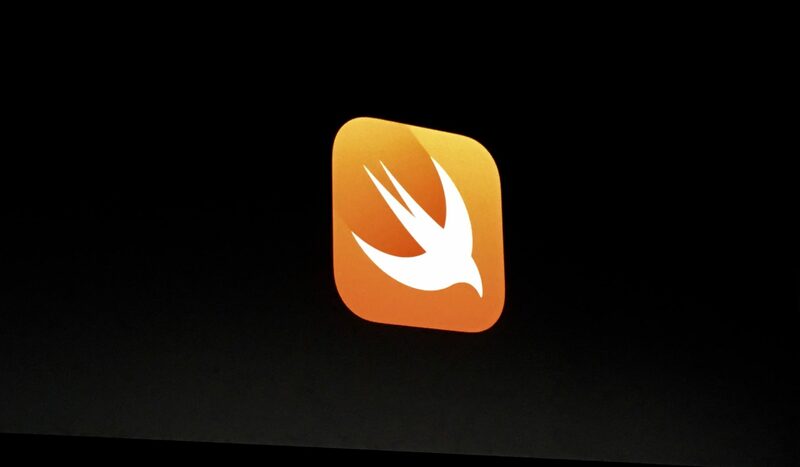 Developers will be able to write just one app and seamlessly support various platforms. It’s not quite a realization of the ‘write once, deploy everywhere’ pipe dream, but it will help developers create experiences that meet customers’ needs wherever they go within Apple’s ecosystem. It’s also not the same error Microsoft and Google made with their attempts at cross-platform apps. Universal Windows apps were a move to reboot the Windows platform, and more about making desktop apps available for the then-burgeoning (and now dead) Windows Mobile platform. Google’s effort to bring Android apps to Chrome OS was a stopgap; native apps are always more powerful than web apps, and leaning into the web is Chrome OS’s gift and curse. Today, Apple invented UWP apps. Psyched! Apple’s move could even mean the end to AppKit, the macOS framework that has hit its ceiling. If UIKit comes to the desktop, it opens up a lot of possibilities. If Apple is indeed working on universal apps, it could end up both enriching and cheapening macOS. Great for developers, but still a limiting proposition. A successful cross-platform offering, CARROT Weather, cleverly made itself at home in the macOS menu bar; it doesn’t have a big, bright native macOS app to speak of. But others may not be so wise. Unless Apple makes it impossible to allow apps to scale, some developers will simply try to expand their apps to the full 27-inch (or larger; 27-inch is just the largest ‘official’ Mac screen) experience. I’m not convinced I want my fun little currency calculator taking up my entire screen. This could bring changes to the app subscription model. Your favorite note-taking app could cost you $2.99 per month on iOS, but another $9.99 for iPad, and $24.99 for the Mac. Some apps are already experimenting with a cross-platform model of some sort; at WWDC, I spoke with the team behind Bear, which told me the app is designed to cater to ‘power users’ more than casual ones. It’s great for developers, too. This isn’t about app prices. It makes Mac apps economical for iOS developers to make. A universal app ecosystem further blurs the line between Mac and iOS hardware. We’ve seen it happen here and there already; powerful desktop apps such as Kaleidoscope are now available for the iPad Pro, for better or worse. I do worry that in the transition to ‘universal’ apps we’ll loose functionality that currently exists on the Mac side. The infamous example of Apple’s own Keynote app, where the Mac app lost a bunch of functionality to harmonise it with the iOS version, seems like a warning shot. It brings up other considerations, such as how unified apps would handle menus. Macs have a menu bar to make functionality a bit more generalized; iOS apps don’t. There’s not even a unified way to handle mobile app menu functionality. We can’t know if this is specific to new apps, either. AppKit and UIKit are disparate. Apple would undoubtedly fall back on UIKit and deprecate AppKit, which means existing Mac apps would never work on mobile; developers would have to re-write apps. This may also require new hardware. Macs use Intel CPUs, and iOS devices are ARM-based. There are indications that Apple is creating its own bespoke chipsets for both iOS and the Mac, which would solve the conundrum of how mobile apps would easily support desktop architecture. For now, we’ll keep in mind this is a rumor. While its source has a great track record, it’s nonetheless speculation until Apple announces otherwise. Until WWDC rolls around and Craig Federighi makes some splashy on-stage pronouncement that apps will be universal starting later in 2018, we’re skeptical. Developers should also consider whether a unified platform is a net positive. Inherent advantages exist for both iOS and macOS. Uniting the user experience across platforms may not work for many apps. But we should recognize this idea has legs. Underlying technologies like iCloud sync work well, and Apple has made much of its framework – like Metal – ubiquitous. Siri is also available on all Apple hardware. In addition, Apple has focused on the app review process and making the iOS App Store much nicer. If this rumor comes to pass, the transition will be interesting; and the end result, after years of refinement on many levels, may actually be wonderful.